So you’re ready to invest in a road bike, but don’t have a ton of money to spare. No worries, we’ve rounded up what we consider the 5 best women’s road bikes under $1,000. These aren’t necessarily the lightest or fanciest road bicycles on the market, but they do provide the best bang for your buck. And if you’re a total newbie, we’ve also offered some tips on how to pick an entry-level bicycle. Beginner women, get ready to rock and ROLL! Specialized is one of the largest bicycle manufacturers in the world. This economy of scale means they can buy components in bulk and pass down the savings to their customer’s. 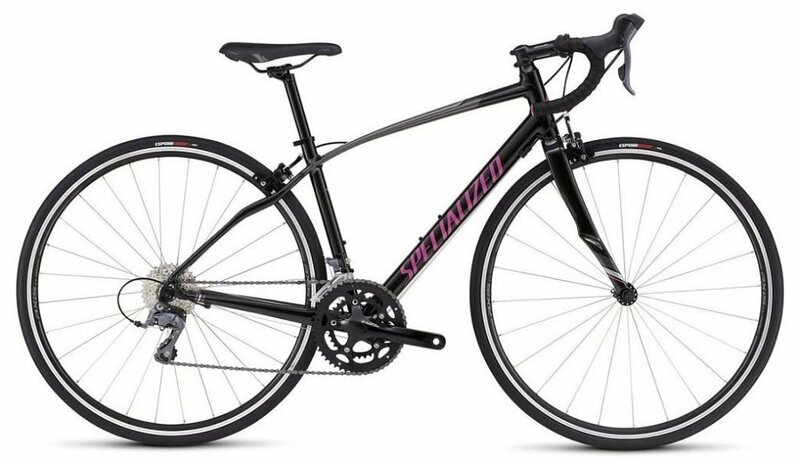 For nice bikes at a decent price, I always recommend Specialized. The Women’s Dolce is no exception. The fork on the Dolce, for instance, is made of carbon. It’s difficult to find carbon on bikes at this price point, and it provides a nicer, smoother ride than an aluminum or steel fork. Because the geometry is more upright than many road bikes, this also happens to be a great bicycle for beginners. It provides easy handling and isn’t too twitchy when climbing or descending. If you plan on doing some long days in the saddle, this is a comfortable bicycle to do it on. The components on the bicycle are all brand-name with a Shimano Claris drivetrain and Tektro brakes. If you’re an REI member, there’s a huge incentive to buy a Co-Op bicycle–all this dividend dollars! And if you buy at the right time of year, its hard to beat the sales you can get on an REI bike. Fortunately, the Co-Op Cycles ARD 1.1W is a great bike for the money, so you won’t be sacrificing anything to buy the REI brand. The thing we love most about the Co-Op Cycles ARD 1.1W is that it comes with disc brakes–something that’s hard to find for under $1,000. Disc brakes provide better stopping power than rim brakes and operate much better under wet conditions. The bike also offers a carbon fork (again, amazing for this price point). Where they have saved money on this bike is by specing the bike with lots of Co-Op brand components: Co-Op wheels, stem, and saddle. 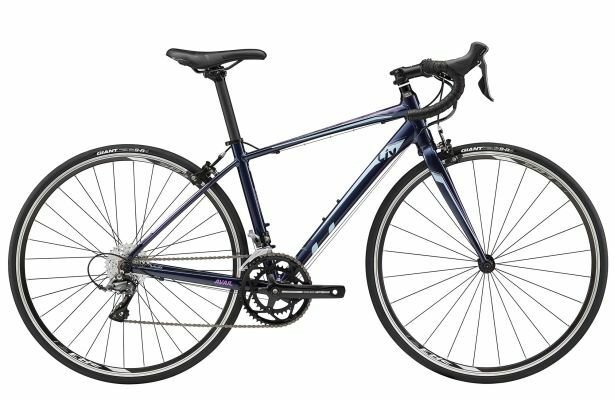 Here’s a women’s road bike under $500. Score! 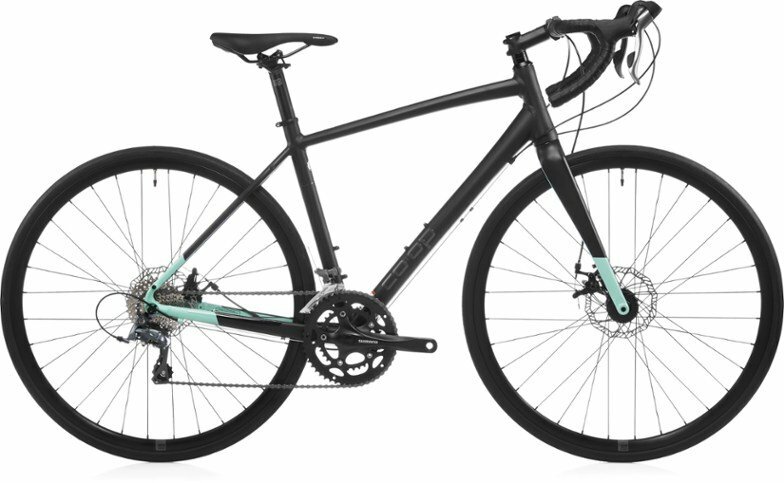 For ladies just starting out in the sport, this is a great entry-level bicycle. Don’t expect it to perform as well as some of the pricier bikes on this list, but it will get the job done without breaking the bank. The components are all decent entry-level, and include Shimano Sora drivetrain and Tektro brakes. These will last through several seasons of sprint triathlons or organized group rides. Just make sure you leave a little cash in your budget to upgrade the saddle. The one that comes stock isn’t particularly comfy. Liv is the women’s-specific branch of bike manufacturer Giant. They make some of the best women’s bicycles on the market. In the sub-$1,000 road bike category, they have a couple offerings. The Liv Avail 1 comes in at $880 and the Liv Avail 3 costs $635. Both bikes have the same aluminum frame, but the components on the Avail 1 are slightly higher-end. It comes with tubeless tires, composite fork, and Shimano Soris drivetrain. The Avail 3 has an aluminum fork, standard wheelset, and Shimano Claris drivetrain (one step down). Both bikes sport the brand’s proprietary D-shaped composite seatpost that helps dampen road vibration, meaning your bum will get a comfy ride. The geometry of the bike has been designed using data on female body composition with the goal of fitting as many women as possible. 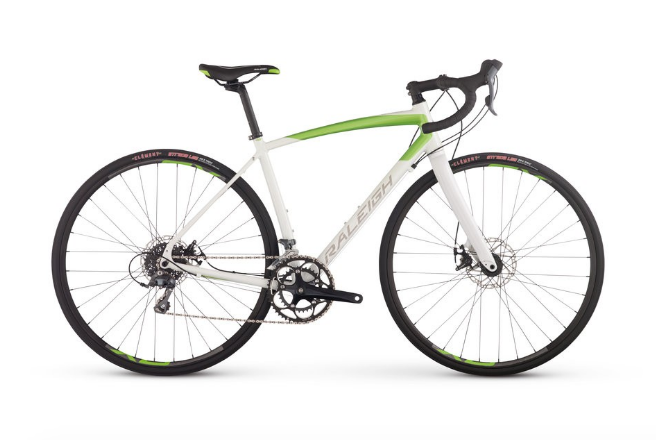 The Raleigh Revere 2 has been designed specifically as an “endurance” bike, making this a good pick for women who are training for their first century ride. It comes with a women’s-specific saddle that most women will find adequate without needing to replace it. 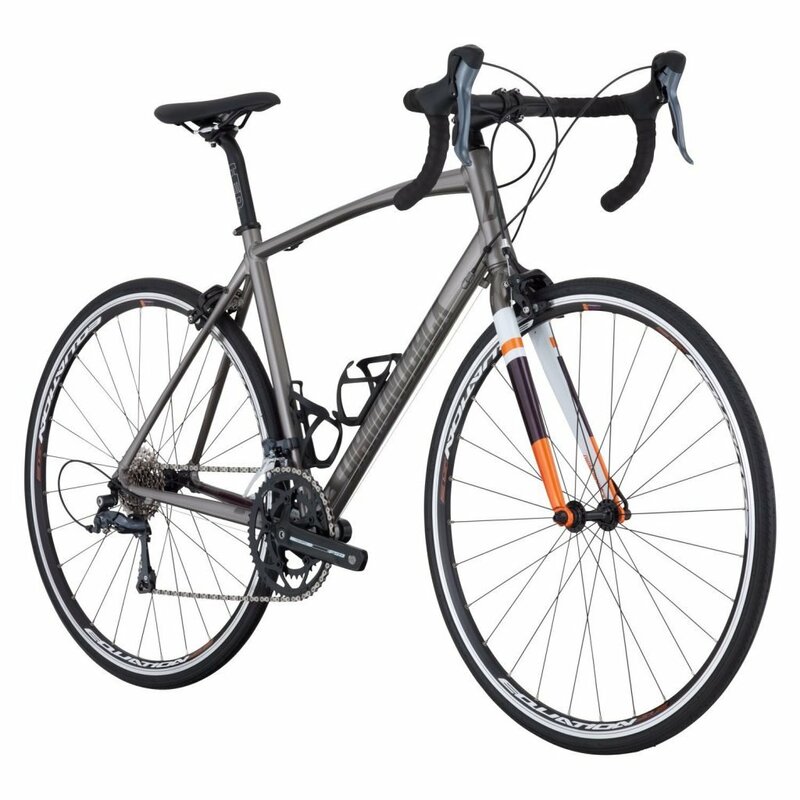 The frame is fully aluminum and lacks the carbon fork that several other bikes on this list include. It does include, however, disc brakes for superior stopping power. The drivertrain is Shimano Claris, and the geometry and components have been designed specifically for women. The crank arms are shorter than most standard road bikes as is the stem and handlebars. 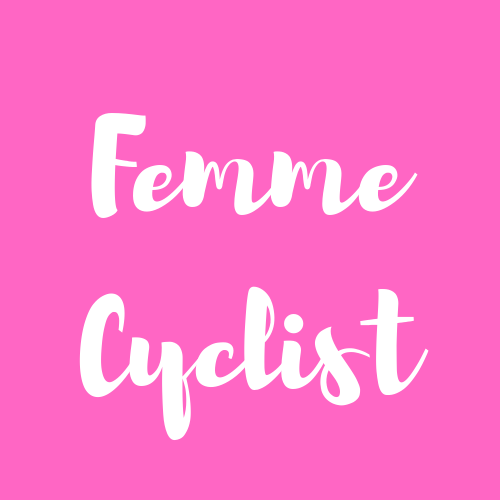 All of these things will make the bike more comfortable for smaller ladies. Not sure what you should be looking for in a road bike? Here are some tips to help you choose the right bike within your budget. Sub-$1,000 bicycles are going to be heavier than their more expensive counterparts. That said, it’s still wise to look for the lightest bicycle within your budget. The lighter a road bike is the faster it is, the longer it will take you to get worn out, and the easier it is to maneuver. Road cyclists tend to be big weight weenies, and there’s a good reason for it. You can use the comparison chart above to compare weights. Make sure if you look at other bikes that aren’t on this list to get their weights too. The bikes on this list come in two categories: those with traditional caliper style (rim) brakes and those with disc brakes. Road bicycles have traditionally come with caliper brakes and most bikes you see still have these rim brakes. That said, more and more bikes are being offered now with disc brakes. Disc brakes are generally found on road bikes at higher price points, but we’ve found a couple in the sub $1,000 category as well. Disc brakes do a superior job of stopping when compared to rim brakes. This becomes particularly true in wet weather, so if you live in a rainy climate this might be something to think about seriously. The drawback of disc brakes is that they usually weigh a bit more. Still, when given the choice between rim brakes and disc brakes, we’d always go with the disc brakes. Nearly all the bikes on the list come up with the same entry-level drivetrain components, so there’s not much differentiation here. Shimano Soris is a step up from the Shimano Claris drivetrain. If you can afford it later, you can always upgrade when it is time to replace drivetrain components. And by drivetrain components, we’re talking about the chainring, cassette, shifters, and chain. The frame and fork are perhaps the most important thing to look at when buying a budget road bike. Why? Because nearly everything else on the bike can be upgraded and replaced over time if you get more serious about road biking. Carbon is generally the most comfortable and lightest frame material, but you won’t find any full-carbon frames at this price point. Still, you can look for bikes that offer a carbon or composite fork as you’ll still get some of the benefits of a smoother more comfortable ride.